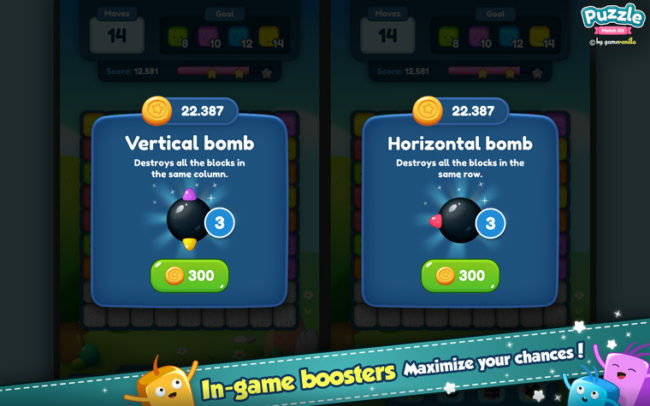 Many block, booster with combos and blocker types supported. 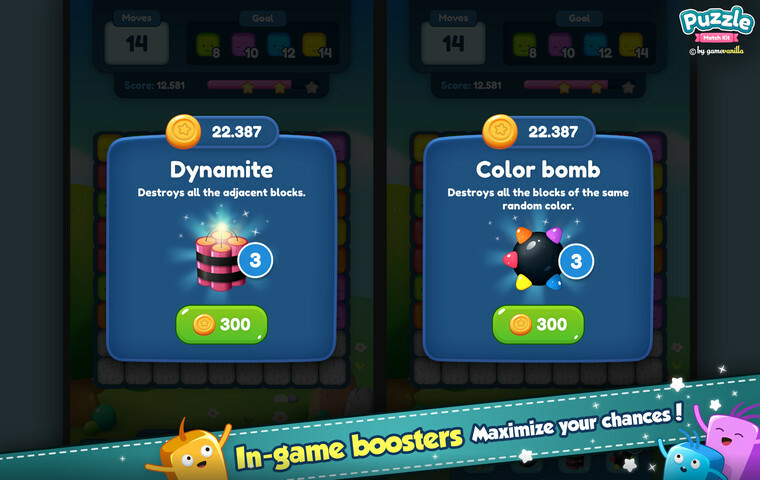 In addition to appearing as a result of matches, boosters can also be purchased in-game. 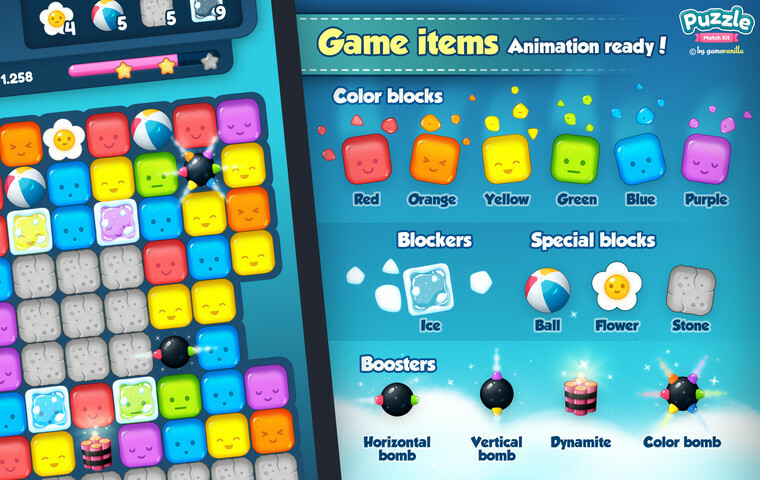 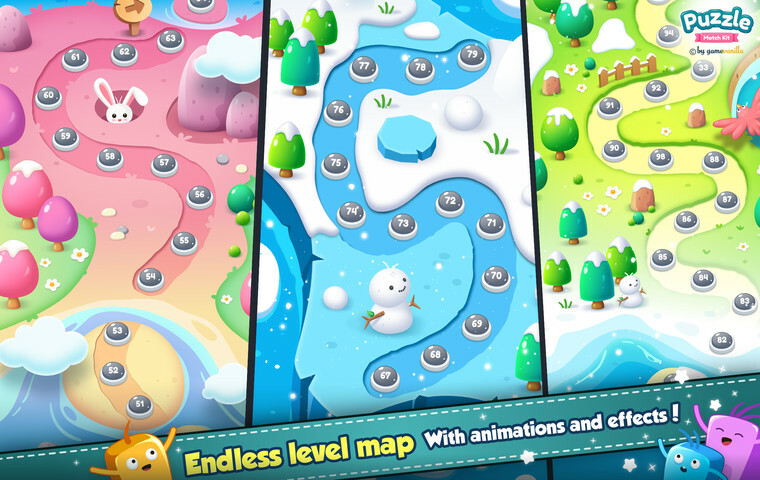 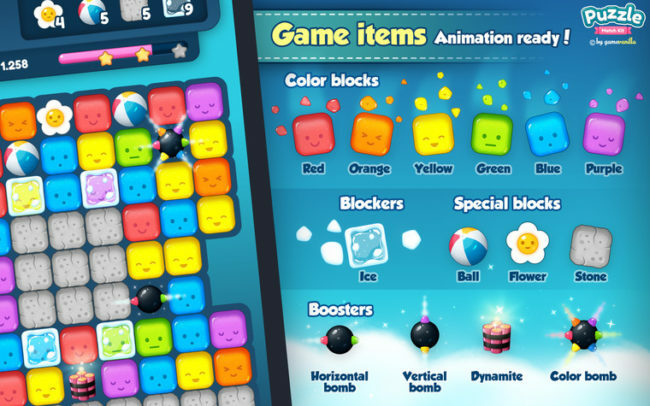 Optimized for mobile: the UI scales across different resolutions and game objects are pooled to keep the amount of garbage generated at runtime to a minimum. 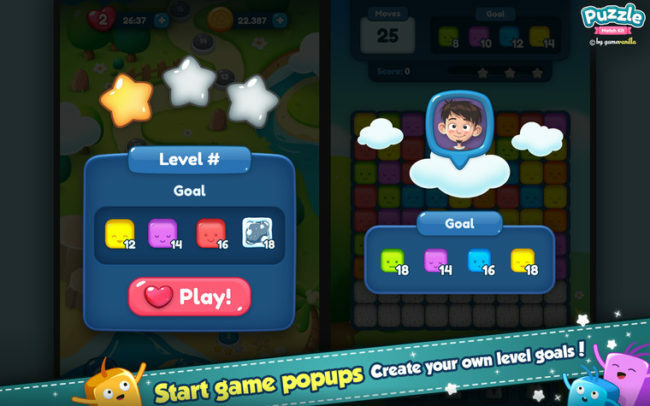 30 unique levels included that you can use as a starting point for your own game. 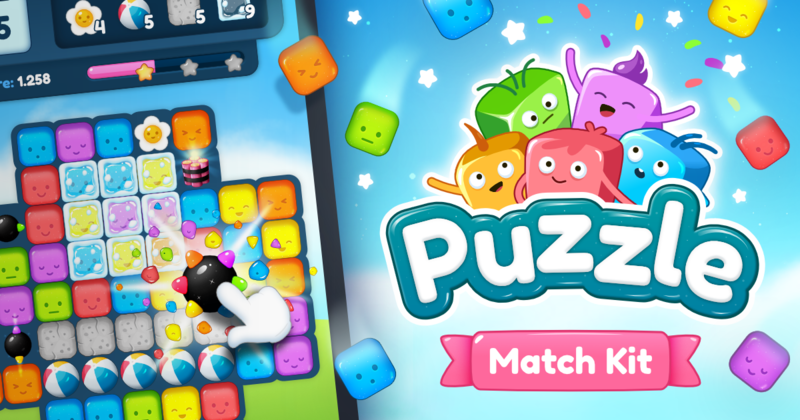 You can find the official Puzzle Match Kit wiki here. What is the minimum version of Unity required for the Puzzle Match Kit? 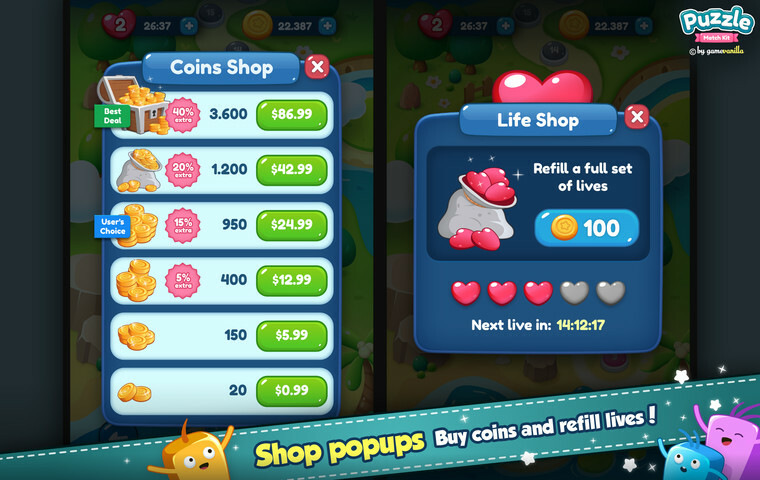 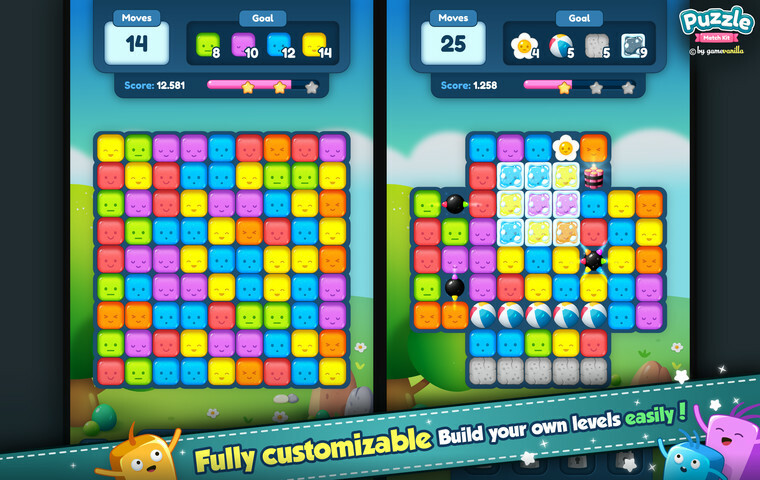 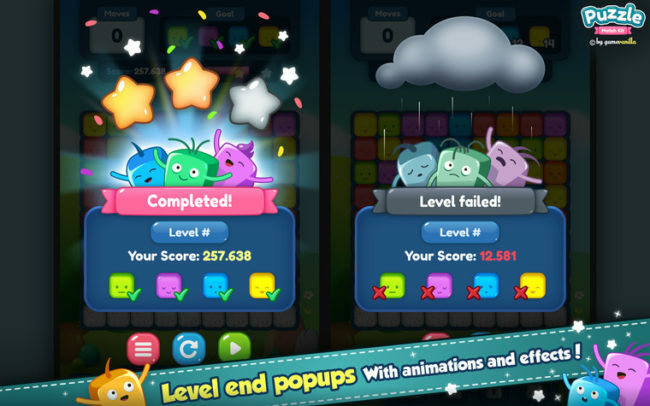 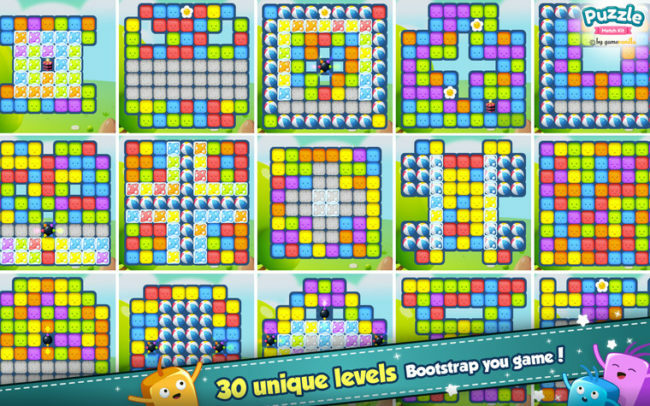 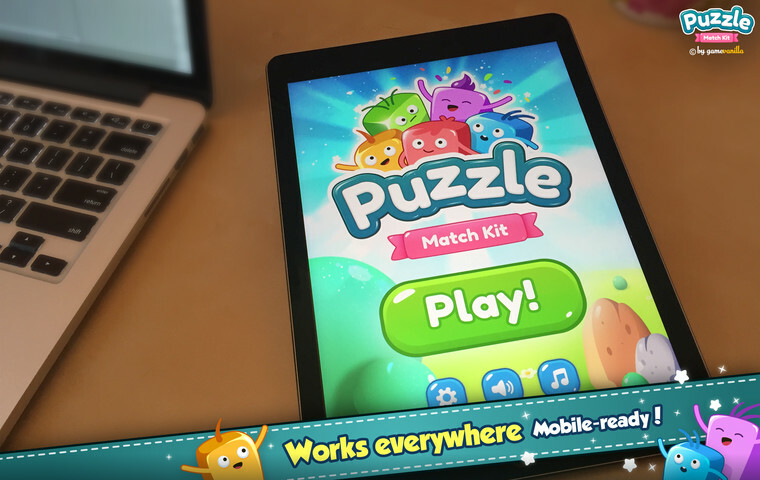 Does the Puzzle Match Kit run on mobile platforms? 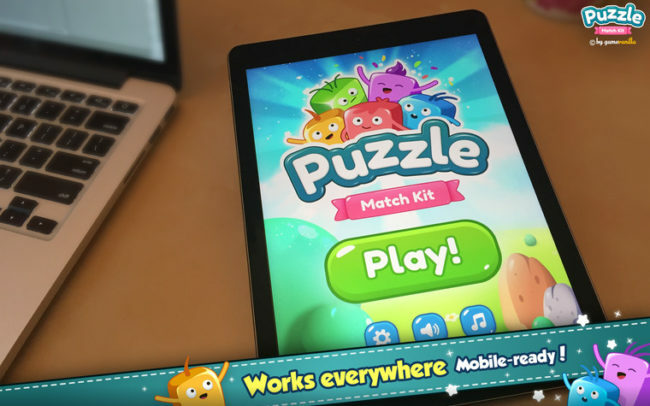 The Puzzle Match Kit can only be used under the standard Unity Asset Store End User License Agreement. 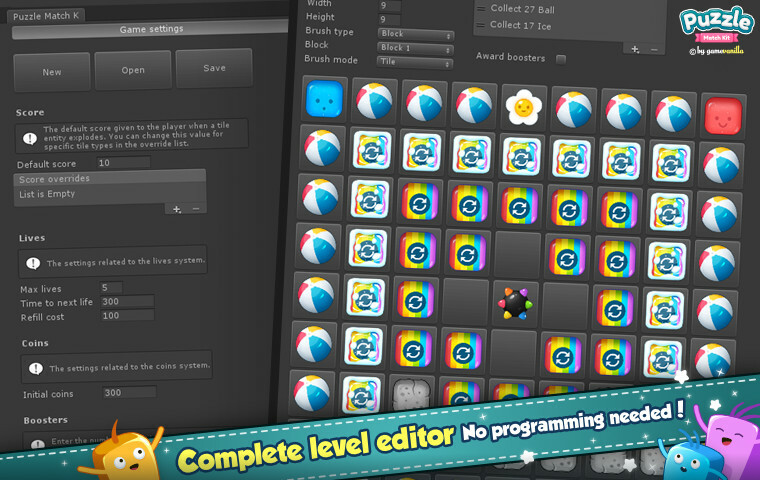 A Copy of the Asset Store EULA is available here. 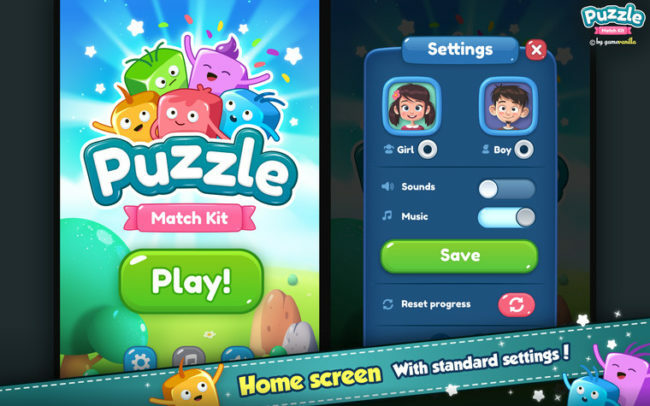 The copyright of the Puzzle Match Kit and all of its contents (including both the art and the source code) belongs to gamevanilla ©. After purchasing the Puzzle Match Kit, you have the right to use it only for the purposes of developing and publishing a final game. 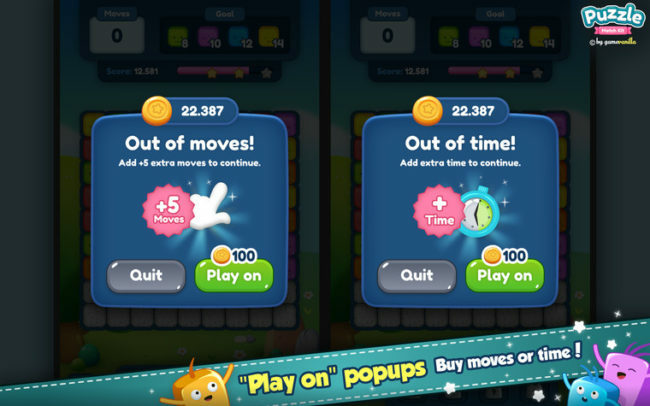 You are NOT allowed to redistribute or resale the Puzzle Match Kit or any of its contents for any purpose (not even after a complete re-skin). To distribute or resale this product is NOT permitted under any circumstances and is strictly prohibited. 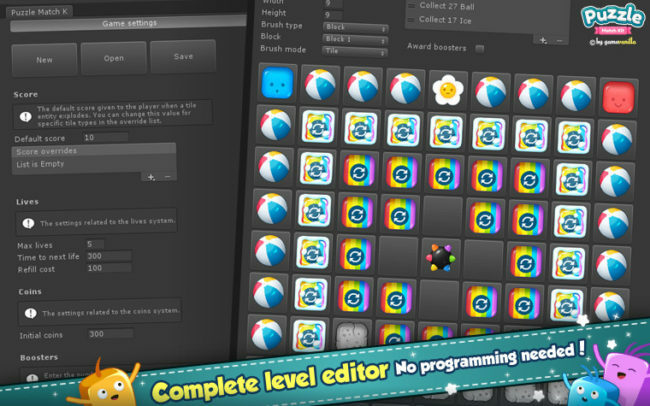 A powerful & complete tool to create your own match-2 game with Unity without knowing how to program. 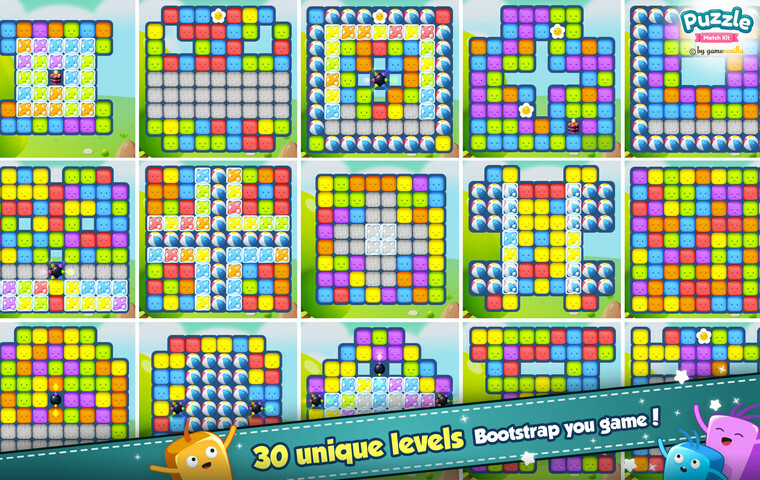 The best match game asset you can find around. 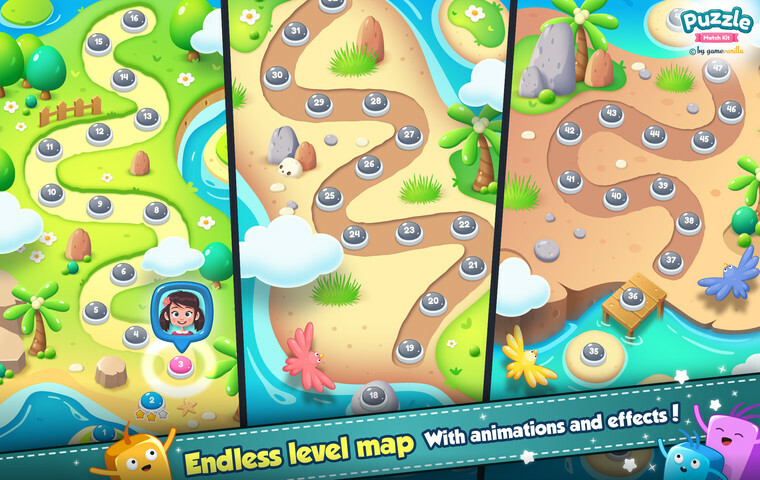 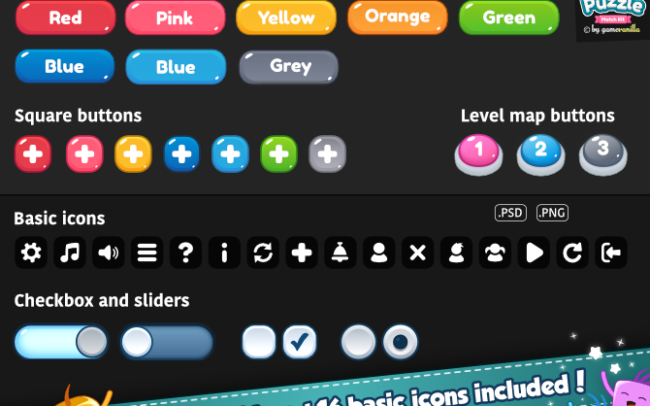 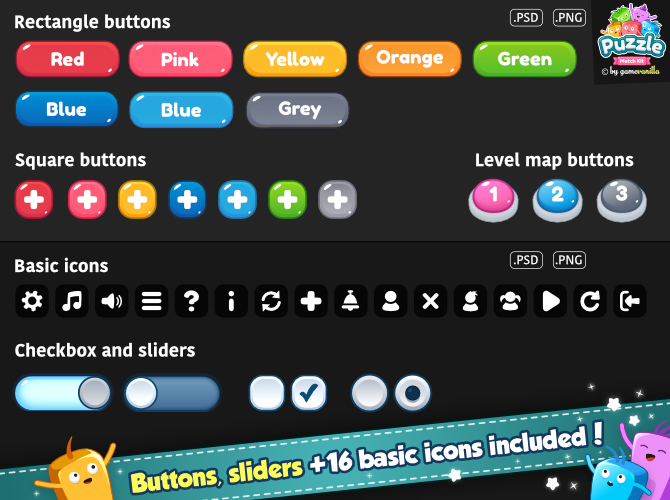 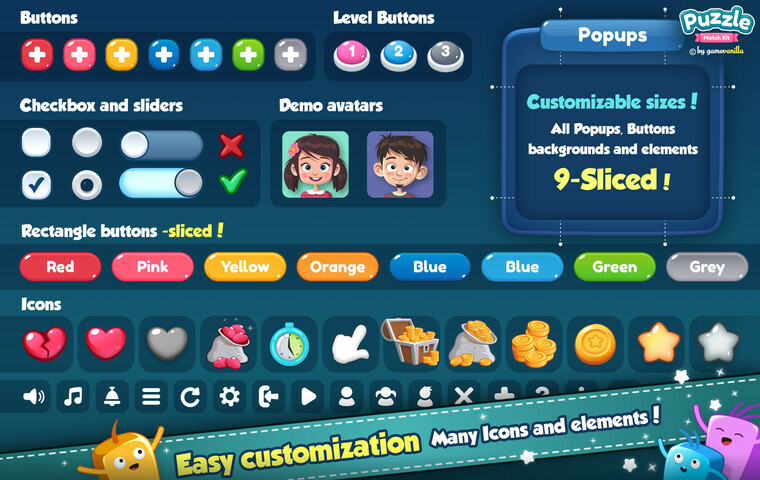 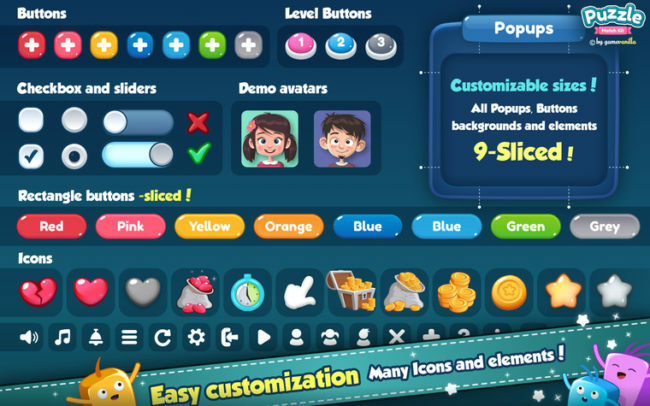 Great features, well-designed animations and graphics, and seas of possibilities. 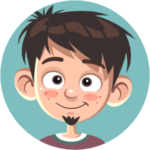 Most importantly, the developer is always ready to answer my questions and offering support.